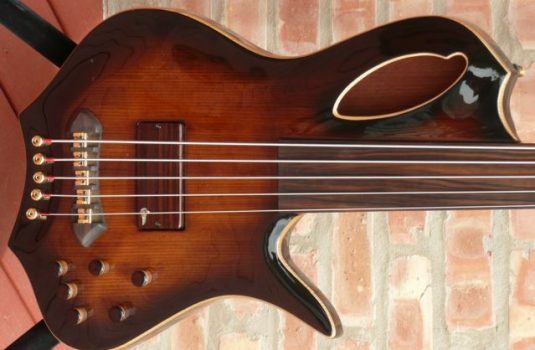 Another fretless that sings and makes you cry. What Vadim’s secret is, I do not know. 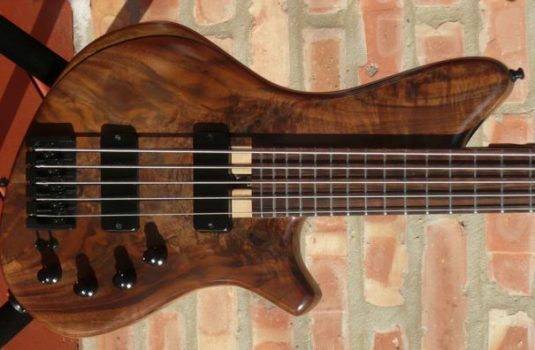 This bass sports a gorgeous Burled Walnut top with a Paduk body. 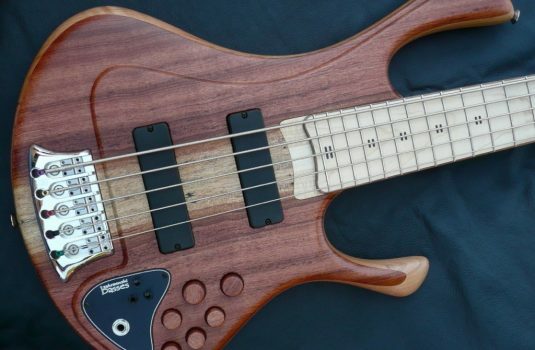 The neck is a 35″ scale, 9 piece affair, primarily Paduk with a Wenge center piece flanked by 2 Walnut pieces with 4 Maple runners separating these pieces. The Macassar Ebony fretboard is fine-lined with Maple veneers. First rule “intonation”; the lines really help and serve the music. 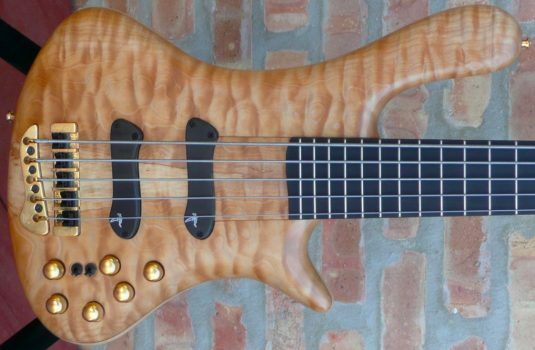 The pickups are custom made by Vadim, the bass is passive, and there are 2 volume and a master tone control. The volumes pull up to give single coil operation.